The Doctor had been in his share – weeeellllll, maybe a tad more than his share – of prison cells, but his accommodations in the Tower of London were a definite first. He’d visited it before, sure, he’d done the tourist thing at times. Once, he was even hauled there when Henry the Eighth threw a parson’s nose at him, and he’d thrown it back, but that was lifetimes ago when he’d wanted to be locked in. And… perhaps it had been due to his “advanced age” at the time, but he hadn’t been trussed up and shipped in through the Traitors’ Gate with a bag on his head, and chains between his legs. No. All of that had been a first. Never go back with the same face when they want you for treason. Of course, now they had him for treason and witchcraft. Time travel, in this period, wasn’t an exactly believable reason for looking like he hadn’t aged a day. Well, he’d only been curious – and curiosity kills the cat in a nun’s wimple, doesn’t it? – what the fuss was all about after they’d tried to arrest him when he’d met Shakespeare. It was clear now, wasn’t it? He was a “traitor to the crown,” and all because the aforementioned bloody Henry (the man was nothing but trouble for the Doctor, every damned time they met) couldn’t keep his grubby, ginger hands off Rose, and, well, that wasn’t his fault! “Hands off the blonde” was as famous a rule as “don’t wander off.” Half the males in the galaxy had heard it at some point by that time. Unfortunately, that particular rule seemed to go down as well as “don’t wander off” did most of the time. And, they were always going to leave, she shouldn’t have meddled! The current Queen of England would never have been born if the Doctor had just let Henry marry Rose—his Rose Tyler, damn it. Of course, Anne Boleyn would probably still have her head, and Dame Rose might’ve been the (now headless) mother of the current ruler of England – but that wasn’t how it was supposed to happen! And there was just no way he was letting an axe-happy, philandering, ginger monarch have his Rose Tyler. He’d been seething with jealousy—not that he’d ever have admitted it—and Rose had thought it a very fine joke. She had been resplendent in the gown the TARDIS had provided her, and she knew it. Unfortunately (for him then and now,) she was also just Henry’s type; golden and luscious—er… luscious? Yes! He meant luscious. No issues admitting it now, was there? Gorgeous. Gorgeous, and a cheeky, cheeky minx. No doubt, she’d’ve thought all this was incredibly hilarious as well. Yet, he was the one facing the chopping block, alone, and Rose… wasn’t with him to laugh and make it better; make it worth it – worth the smells, and the soreness he’d never admit to feeling, the impending death sentence and public execution full of the throwing of rotten vegetables—well, maybe not execution. But that didn’t matter, because if she were with him, they’d laugh, and he’d have another pair of hands to grab his sonic screwdriver from his pocket—and he was a dirty, horrible, dirty old man for the guilty pleasure that little act would’ve afforded him, as well as the bad jokes he knew she’d have made. Is tha’ a sonic in your pocket, Doctah, or are you ‘appy to see me? 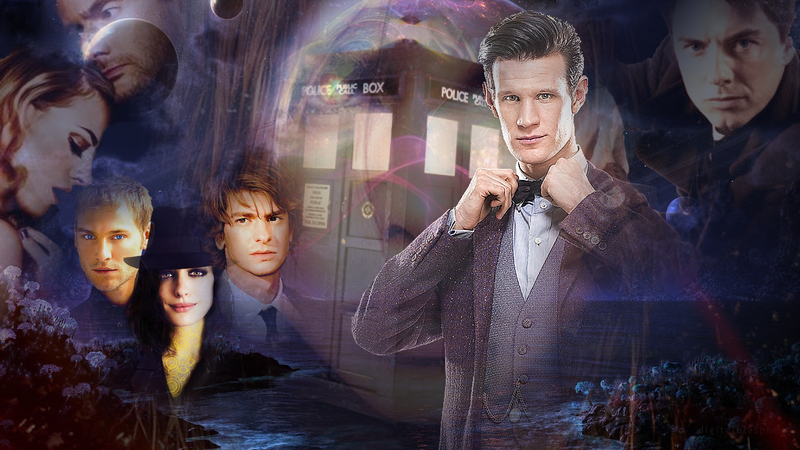 – and then they’d be out, running hand-in-hand back to the TARDIS in a trice. Instead, he was most definitely alone. No Rose and her obvious, but charming innuendo. No one to help him out of his mess. He’d been grabbed by guards on his way through the city and sentenced by Sir William Cecil upon sight. Apparently, they were to take no risks where he was concerned. They didn’t want him giving them the slip again. If only he could get an audience with Queen Elizabeth, he was sure he could—erm—charm his way out of this. What? He was charming in this body! He’d stopped worrying about whether he should be using it to his advantage long ago, and lately, if there was a line somewhere in there, he’d stopped caring. He cursed loudly at the heavy ropes binding his hands and arms that prevented him from reaching into his coat pockets for his sonic. Landing here at all had been for a lark. He knew Ood Sigma awaited him. He knew that his song was ending, and he just wanted a little more time! Just a little more time, and a little more fun! Was that so very much to ask for a Time Lord with a finite amount of bloody time left? Time to live? It wasn’t fair! How many worlds had he saved? How often had he been hurt, and lost people he loved? How many times had he been a hero—a hero! And this was his bloody reward? Perhaps this was where his song ended. It wasn’t like he knew how it would happen. He only really knew that he would at some unspecified time. He’d been running from it long enough to know that no one had carved dates in a headstone for him. Perhaps, he’d die— headless! —for taking Rose away from someone who loved—weeell, maybe that was a stretch; Henry the Eighth was a bit narcissistic and sociopathic to really feel love for Rose Tyler, or anyone, really—but he had always taken her from the people who loved her, and look what he’d done to her as a result. He’d stranded her in another universe! He hoped she was happy. He hoped, oh, he really hoped she was alright. At least, he’d given her back in the end. He’d left her, yes, but with her mother, and someone he knew loved her so very much. He hadn’t been known to always do that. He’d ruined so many permanently. Wasn’t it what he’d done to all the Children of Time? Wasn’t that just his modus operandi? Tegan. Nyssa. Katarina. Adric. Jack. Peri. Reinette. Turlough. Astrid. Sara and Bret. Ace. Martha. Donna… Adelaide Brook… he could go on and on. And all without even mentioning what he had taken from his own race… Or countless others. He selfishly took good people from their homes to keep him company, and made their lives messy, complicated, unrecognisable, and often pure hell. He made their lives like his own. Made them all into little soldiers in his personal war. When he had regenerated into this body, he had been so full of love and hope, it had shaped him into a man who wanted to be good. It seems like such a simple thing, to be good. Such a simple thing to aspire to. However, the years strip goodness away with choices, and wrong turns, and squiffy bits as surely as rushing waters carve away at stone, leaving empty canyons where your morality once was as solid as granite. …So wrong. So, so, so, so, so wrong. And here he was, as bitter and lonely as he could ever remember, hating himself – continuing to give himself reasons to hate himself. He was in the dark again, and he didn’t think he’d make it back to the light this time. Bowie Base One had been the final nail in his coffin. He was a maniac, a killer, and a thief of beauty and innocence; a burglar of time and potential. The hitch in the works. Was he even the Doctor anymore? Or just a madman with the Doctor’s face, and death on his heels? Still… peace… it would be over, this torturous existence of his… he could rest… and there’d be little in the way of pain. With one swing of the axe, eternity would take him into its cold embrace. He only wished he could say one last goodbye to the people who loved him despite all his insanity and chaos. To the people he loved. He would have liked to have seen their faces just one last time. He was total rubbish at goodbyes, though. What would he say to them? I’m sorry I cocked up your life? Thanks for putting up with me? Sorry, I can’t make anything better, not really? Maybe, saying nothing, and slipping quietly into forgotten history was best after all. He leaned his head against the cold, dank stones behind him. A fat rat came crawling out of the straw and sniffed in his direction. The rat merely twitched its nose, and ignored him. The Doctor sighed deeply, and closed his eyes. He’d just have to sift through his memories to see their faces if he couldn’t go see them. And he’d save the last one he’d ever remember… for her. He was just starting to picture his beloved Susan’s warm, hazel eyes, when he was hit on the chest. Thinking the rat had decided he’d kicked it, and not particularly in the mood to be chewed, he opened his eyes and found a red felt fez hat which had rolled right next to his foot. His head snapped up to see where it had come from, or who had thrown it, but he was still very much alone. Even the rat had gone. A slight shimmer caught the corner of his eye. About three metres to his right was a time fissure. Normally, he would be very upset to see something like a time fissure, since tears in the fabric of time and space were, technically, not so wonderful in all practicality. Very bad actually. Non bene, as it were. But he couldn’t help the stab of hope it gave him. Someone might be on the other side, and if something could get through, maybe he’d still have a head in a day’s time after all. He toed off a trainer, grabbed the hat with his toes, then threw it with his manly-hairy foot—wait no, he wasn’t a hobbit, though it was a feat worthy of praise when one was bound at the ankles – back through the fissure. Just a little indicator that there was someone here on this side. Could be really, really bad, whatever was over there – or not. He didn’t have a lot to lose anymore. Definitely not done living yet. Didn’t matter. Let anything come through. As long as they were thick enough to unbind him, he’d find a way to run. It’s what he was best at. “Really? By wha’? 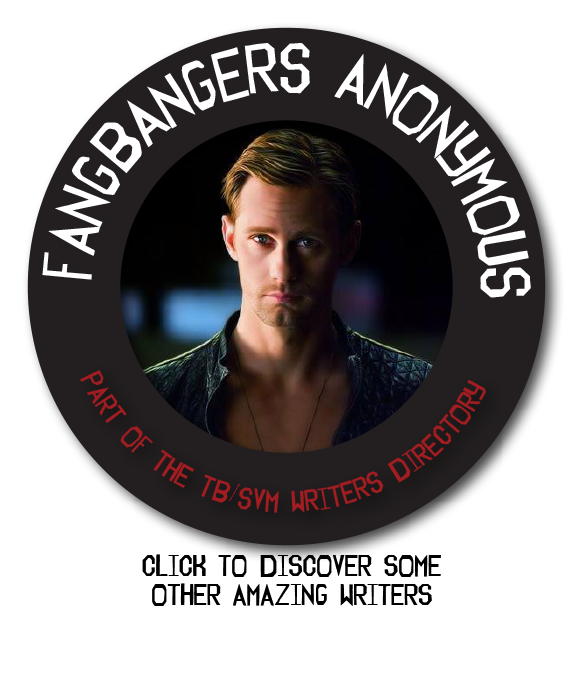 Any idea?” said the Doctor in leather, joining Kate at the monitors and studying the readouts. “‘Course, yeah. Wondered when the mildew here would develop consciousness.” Daft Ears smirked slightly but let it drop. He’d push later when whomever his future self was hiding was safely away from whatever danger UNIT posed. “Sentient mildew?“ Kate asked, looking thoroughly confused. “Mole-like, yes. Curious.” He looked at the younger Doctor who frowned and shook his head. “About sixty kilometres. The tunnels appear to go beyond even that,” Kate answered with a tense frown and deep ruts between her brows. “Don’t you do these things periodically? The scans, I mean. Why haven’t you caught it before?” He didn’t mean to sound accusatory, but well, yes, he did. This had been going on for some time. One didn’t simply wake up one morning and decide to burrow under the White Tower, he didn’t care what species was doing the deciding. Precautions would need to be taken against flooding – unless the species was aquatic, of course, but that was unlikely, they’d have to be at least amphibious to be breaking into the vault area – and cave-ins would have been a real issue. It was a complex process no matter how you looked at it. Which was helpful and baffling at the same time. The Doctors exchanged concerned looks then turned to Kate. “What do you keep in the Black Archive—” the Doctor-in-tweed began. “Tha’ would be so temptin’ for wha’ever these things are?” the Doctor-in-leather finished. “We keep the classified objects in the vault for safe keeping.” She said as mildly as possible. Kate was a smart woman. She knew letting the Doctors anywhere near the Black Archive was not only stupid, but would never be allowed. Only, what else were they going to do if it came to it? “An’ all the bits you lot study so tha’ you can use it. Do things like make the Tower a no-fly zone, even for my TARDIS.” He shook his head with an almost-smile on his lips. “Doctor, you can’t expect—” Kate began with a ‘do be reasonable’ tone. “You should know better than to keep a dungeon full of stuff you have no chance of understandin’,” Leather shook his head. “And this is exactly why,” Tweed nodded. “Doctor,” Kate emphasised, “we have every right to study the things that fall to our planet. It’s our planet.” She knew her situation was going from bad to worse every moment. “8.7 million known species of life on Earth an’ you’re actually arguin’ tha’ humans have exclusive rights to anythin’?” Leather and Ears growled. “Well, I don’t have to tell you that, do I?” the older wheedled. Both Doctors were half to the door and regarded her impatiently. The older Time Lord smirked and held up his sonic, but Kate looked almost sheepish as she shook her head. “The Black Archives are designed to be impregnable by even you, Doctor. We were… very thorough. We’ll need the Colonel and her key.” She got on her phone and immediately set to work gaining access and apprising her superior of the predicament with the Doctor. “Don’t worry, Kate Lethbridge-Stewart. We won’t go in unless we have to.” He didn’t need them anxious and breathing down his neck. He hoped Torin and Lios had been able to sneak out successfully and were safely in the TARDIS. The last thing he needed was their involvement at the moment. The Tylers, as things were, had not yet successfully managed an escape. Far from it, actually. They were in just a bit of a bind. Bind, meaning they were stuck. In a broom cupboard. A small one. Titchy really. One that had already been quite full when they had been first shoved inside. Then locked in. After the Doctor had left with… himself and the UNIT soldier, the girl at the desk decided she wanted to chat up the janitor bloke – right outside the door that kept them hidden and—er—squished. It was almost funny for all of thirty-seven seconds, then Lios started having a foot cramp which made him wobble a bit – which, of course, meant that he was wobbling against Torin and forcing his nose into musty mops – which, in turn, meant that Torin had to retaliate – and, as one could expect of any brothers of a certain age, everything devolved from there. Elbows contacted ribs. Fingers poked faces. Knees knocked their neighbours, and the brothers were each two milliseconds from purposely causing the other to regenerate when the door handle jiggled, and they froze mid eye-gouge. They must have been making a load of noise… well, they were idiots, and they both knew it. They shot each other less than apologetic glances, then turned back to the handle which had ceased its rattling. The sound of a hard object – like a credit card or butter knife – slid through the door frame. It unlocked and opened with a soft click, then a thin shaft of light fell on Torin’s face. In the crack was a deep-brown eye framed in glasses with heavy black rims. Torin grinned in a way he hoped was disarming. The door opened wide enough to reveal the rest of the oval-shaped face and straight, brown hair that had been pulled back into a high ponytail. The young woman stared at Torin for a moment, seemingly in shock, then her eyes darted back and forth between the brothers. Footsteps sounded behind her and all three sets of eyes widened, Li’s with alarm since he couldn’t see much from his position, Torin’s with silent entreaty, and the girl’s with indecision. Suddenly, she shut the door and the brothers could hear muffled voices and more footsteps before the door slowly opened again. Both screwed up their faces, eyes shut tightly in mounting anticipation of being caught and served with chips. It seemed like ages passed – it was just over five seconds – then they heard a small, mechanical puff and a slight cough. Torin opened his eyes first to see the girl looking at them expectantly and pocketing an inhaler. “Hello,” he squeaked and wiggled his fingers at her. “Did you say, s-sentient mildew?” Lios stuttered. “Well, Osgood the Intern—er… it’s a bit tight in here. D’you think—er…” He motioned to Lios and himself then the outside. “Oh, yeah!” She looked over both shoulders before stepping aside and scratching her head. They nearly fell out breathing huge sighs of relief. “Well, pleasure to have met you. Goodbye,” Lios said before hurriedly pushing Torin toward the exit. He’d seen the look in his brother’s eye. It was the look he always had before a major bout of babbling. Lios silenced him with a glare. Lios groaned and pinched the bridge of his nose. This was precisely what he’d wanted to avoid. This girl was precisely the type Torin liked. Chatty, clever, quirky humans he could prattle away to and they just did not have the time for this! Lios choked on nothing and Torin laughed loudly enough to wake the dead. “Oh well, there’s always next time,” Torin beamed. “Right, back to the TARDIS,” Lios huffed. He began pushing his brother toward the exit when they heard more footsteps – many at that. Marching. It sounded like marching, and where one heard marching, one was almost assured to find soldiers. Soldiers were notoriously less forgiving than curious interns. Altogether, a less than optimal situation for two interloping aliens. Lios cursed his brother’s gob for what must have been the billionth time. “Quick, in here!” Osgood whispered and hustled them both into an empty laboratory. The three of them pressed their ears to the door after Torin locked it with his sonic screwdriver. They drew away and waited for what sounded like an entire platoon to make their way through the corridor, but they stopped right outside as someone was barking orders. With a heavy sigh, Lios tugged at his gravity-defying platinum locks and turned around to rest his back against the door. At least he had the room to move about now. Small favours. How much longer he’d be afforded the luxury was another matter. Torin and Osgood moved farther into the room, the girls eyes trailing after him as he started nosily exploring the room. “So, what’s it like travelling with the Doctor? Must be exciting!” Osgood whispered. “Oi! You’re tetchy lately!” Torin bellowed, earning himself a shushing from both his companions. “Yeah, well, not exactly having the best few days, am I?” Lios grumbled, sounding remarkable like another sibling. “A few, yeah.” Torin moved a bit closer to her and leaned against the counter. “No, humans look Time Lord. 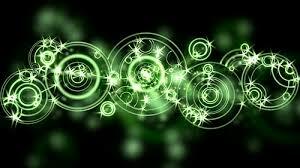 Time Lords came first,” Lios interjected but not unkindly, he thought she might find it interesting. Immediate danger no longer looming, Lios found he liked the girl’s genuine nature and her keenness to learn. He did not relish the prospect of his brother nursing a crush for months after this, but he could admit to himself Torin had like stupider people. “And so you will, I’m sure!” Torin beamed at her and took her hand in his. He wilfully ignored the look of warning his brother shot him. Osgood blushed an even deeper shade of red. “Oh,” Osgood stuttered, her face going from red to paper white. “Right, yeah! ‘Course! Lemme just…” She slipped past him and indicated the door. He unlocked the door and she slipped out with more shyness in her smile, then he closed it quickly and sealed it again before heaving a sigh. He noticed Lios staring at him with a frown. “Time to grow up, you mean?” Lios supplied in a small voice. Lios sighed again as Torin clenched and unclenched his jaw and shoved his hands in his pockets. Torin relaxed and smiled, then nodded once. Torin opened the door and saw she had her back to him. She backed in discretely to avoid notice and he shut the door behind her. The grin slid of each of man’s face.